RPN Havoc Prohormone #1 Review: Gain Size & Strength Fast? RPN Havoc is one of the more popular muscle builders on the market. 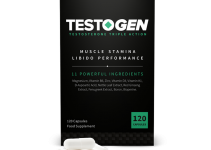 It’s widely used by bodybuilders and fitness enthusiasts because it’s very effective. But what can you expect from this product in terms of results and potential side effects? In this RPN Havoc Prohormone Review, I’ll be sharing my personal experience with this product. For those of you that are unfamiliar with this product, RPN Havoc is a prohormone based product. Prohormones are basically designer steroids that have high anabolic activity. Due to their high anabolic activity, they are very effective at building size and strength. It’s used for both bulking and cutting. During a cut, this havoc supplement will help you hold onto your muscle gains. You might even be able to gain some size and strength whilst in a caloric deficit. 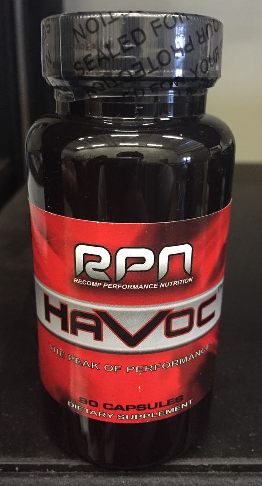 If you’re looking to add size during a bulk, RPN havoc can definitely help with that. You can gain anywhere from 5 to 10 lbs of muscle mass with this compound. You’ll have to make sure your diet and workouts are in check though. Most of you are probably wondering what you can expect from RPN Havoc. 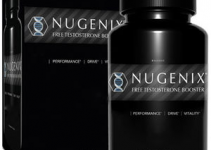 I’ve used this prohormone once, it was quite a while ago. I was searching for a product that could help me gain a solid amount of size within a short period of time. Back then, RPN Havoc was still available at a lot of supplement companies. Unfortunately, since the ban of most prohormones back in 2015 it has almost completely disappeared off the market. Prohormones such as Epiandrosterone are still around. I’ve writen an article on places that still have prohormones for sale. If you’re interested in purchasing them make sure to check it out. Anyway, I ended up purchasing a bottle of RPN Havoc. Epistane seemed like a good and mild alternative for gaining muscle and strength. I used it for 4 weeks at roughly 30 to 40mg per day. I made some amazing gains with it, it was around 6-7lbs of lean muscle mass if i recall correctly. It was hands down a very strong prohormone. It’s very compareable to Superdrol and Halodrol. However, it does come with a few side effects. It can be harsh on the body which means a cycle support product is an absolute must. You might also require a post cycle therapy if you’re feeling lethargic after the cycle. Based on most reviews I’ve read, you should not run it for more than 4 weeks. It’s also very important to keep the dosage moderate. 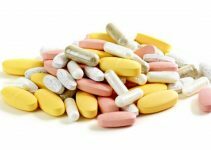 If you run a high dosage you will also increase the chance of side effects. You won’t find a lot of places that have RPN Havoc for sale. As I previously mentioned, most prohormones have been banned a while back. So I’d be extremely skeptical of places that actually have RPN Havoc for sale. But I have some good news for you guys. There are a few solid alternatives to the RPN havoc prohormone. These legal steroids can help with building muscle and strength. They aren’t as effective as Epistane but they will definitely speed up your progress. But with RPN Havoc, you’ll have to worry about possible side effects. With these products that won’t be the case as long as you use them correctly.